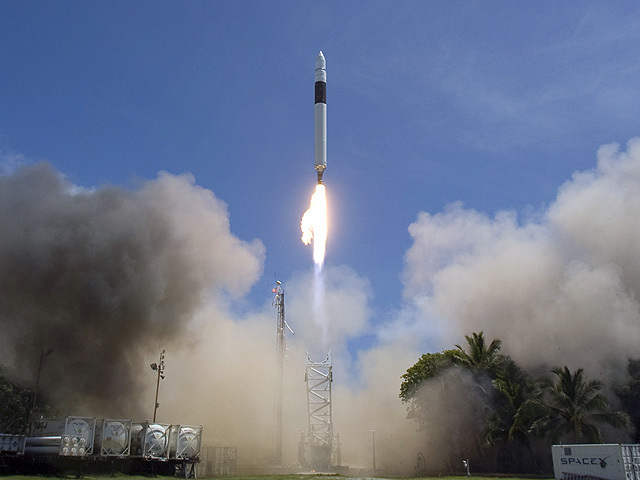 SpaceX achieved a huge milestone in their pursuit of private industry space travel. This morning they launched their Falcon 9 rocket from Cape Canaveral, which carried the Dragon spacecraft into a near earth orbit. The impressive fact about this accomplishment is not launching a rocket, but actually recovering the launched vehicle. SpaceX is the first commercial company to recover their payload, which splashed down in the ocean. Click here to read the SpaceX company press release about today’s mission. SpaceX hopes to use their rocket and spacecraft to provide supplies and personnel to the ISS after the NASA shuttles are retired. SpaceX is not alone in this venture – Sir Richard Branson’s Virgin Galactic company has developed a spacecraft that potentially could access the ISS, although the main intent of the company seems more in line with providing rides for tourists. Personally, I wish both companies nothing but success in their efforts. Both companies can offer low earth orbit services, freeing up NASA’s budget to go to other planets and asteroids, as well as undertake other long range unmanned exploration missions.